Beginning later this month, people will have an opportunity to make a difference in the health of today's youth, as well as the health of future populations. Starting Aug. 20, for four half-days, the MIKE program will train future mentors to work with students at several Portland high schools. MIKE stands for Multicultural Integrated Kidney Education Program, but is named for Dr. Michael Hartnett, a kidney specialist and late husband of Dr. Cheryl Neal. 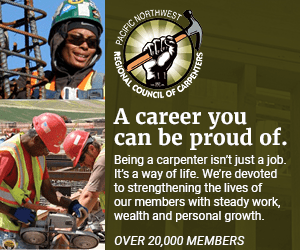 The training will take place from noon to 5 p.m. at Portland Opportunities Industrialization Center (POIC), 717 North Killingsworth Ct. and runs Monday, Tuesday, Wednesday and Friday. Organizers for The MIKE program believe disease and conditions leading to chronic kidney failure start early in life, are passed from generation to generation and are growing at epidemic rates. They also believe teens are one of the most underserved and vulnerable populations in the city. "These youth are our next generation of parents, productive citizens and compassionate care providers," said MIKE founder and president, Dr. Cheryl Neal. "Given the opportunity and support, they do want to make a real difference and are more likely to be open to messages from their peers." Mentoring students about nutritional health in high school plants seeds which will hopefully multiply when those teens pass the message of healthy living on to their peers and families, Neal said. Ideally, it would have a community wide impact. "The most consistent and early observable change is when youth stop drinking sodas and begin drinking water," said Neal. "They are more aware of healthy choices for food and realize the impact environment and marketing have on their food choices. They become more open to exercising and make an effort to get more physical activity into their lives." Dr. Neal recalled a former mentored student saying, "I loved that program so much when I went, I still have my T shirt from the Kidney Karnival we did. I always looked forward to going to MIKE. It was my getaway from the world — a sanctuary." "Youths develop friendships that stand the test of time after the mentoring experience ends," Neal said. "They come away with a greater appreciation for the role of family nutrition and health traditions for their own health." She also stated, "Mentors are caring adults who will go the entire mile for them as individuals, to help them with their life goals." The mentors are not left to deal alone with teen students. They work in tandem with teachers, case managers, social workers and other youth service professionals. Mentors must be over 21 years of age and be able to pass a criminal record check. Examples of people who might become mentors include: employees or business people who are seeking community service opportunities; students who are seeking the same; or retired people who have experience in youth service and education who still want to make a difference for youth. They can also include other individuals who have the time and commitment to help develop the next generation of healthy productive citizens. More information is available by calling (503) 296-7705 or at www.mikeprogram.org/volapp.